Jenny Jen42: Squidfire Mart in Philly! 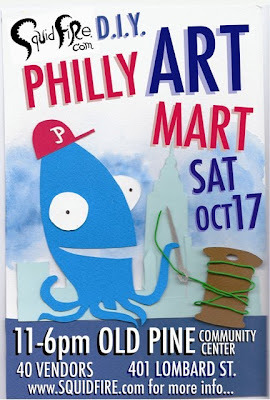 This is just a quick post to tell you about the Squidfire Philly Art mart that I will be participating in on October 17th. This is the first time Squidfire is bringing us to Philly, and everyone is really excited to go. Philly is right around the corner, so please do stop by and get some holiday shopping out of the way!I will be posting more this week to get you as excited as I am about another show in Philly!